The weekend before last I went to the wonderful Knitting and Stitching show in Harrogate. 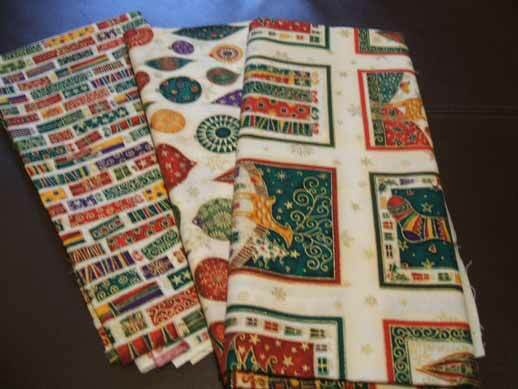 If you have never been to one you should – they are held about 4 times a year in various places in the UK and apart from the hundreds of wonderful stalls selling everything there are exhibitions of textile art and workshops on various different things. We had a girls’ day out with everyone from the re-enactment group and I spent far too much money as usual! A large part of that was on beading supplies for Ellen as she has just got a beading loom and there were some fab special offers at the beading stalls but a lot of it was stash for me for the next round of Xmas ornies.Here are some pics of what I bought. 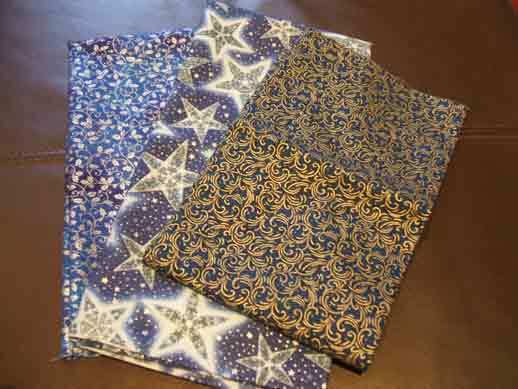 I am planning to use all of this for the backing for Xmas ornies next year – particularly the blue fabric in the middle with snowflakes on. I thought it would look very good with the (multitude!) of snowflake designs that I have collected this year and not had time to stitch! The snowflakes are very slightly sparkly as you can see from the above pic so I will stitch on the wonderful sparkly Aida and evenweave that I also bought at the show. 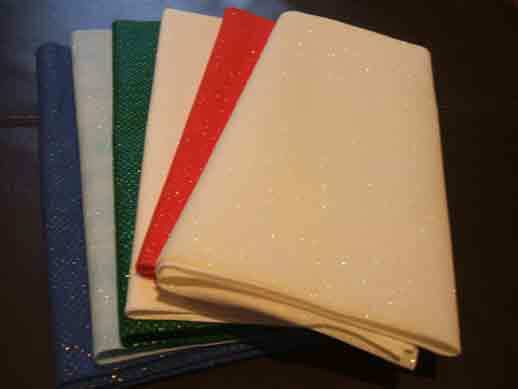 I discovered this last year for my Xmas stitching – as well as the Aida with gold, silver ,blue etc fleck woven into it I have also found this lovely sparkly stuff that is more subtle. It just looks like it has been sprinkled with glitter rather than having an obvious weave. 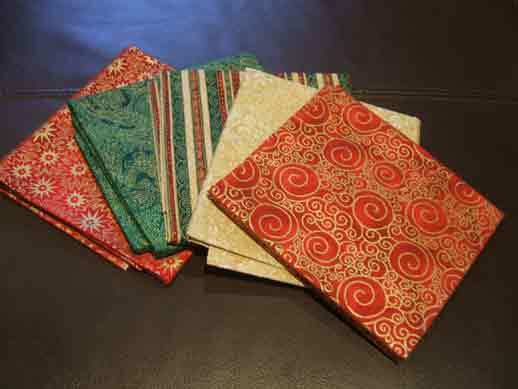 I bought more traditional colours as well for ornies and baubles – mainly fat quarters as I don’t need much – most of the ornies are only a couple of inches square.A couple of these are patterns I had last year as well and I particularly like the red ones. I then promised myself that I would not buy any more sash (ever!) but the following week I also found some wonderful co-ordinating fabric in my LNS that matched a piece I bought from Hobbycraft a while ago and I just had to have it so I did. 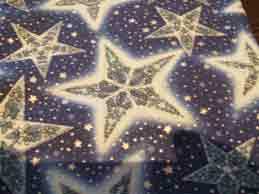 This is honestly the last bit of Xmas fabric I will buy this year – I will stop now I promise!